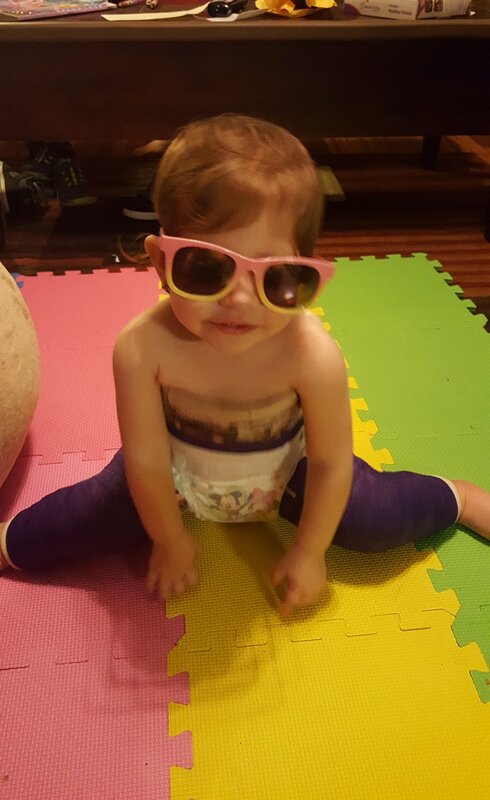 When my daughter first rolled over in her cast. I knew from that moment that nothing was going to hold her back! It's harder on us as parents than it is on the kiddo. We needed to stop stressing. What works for one family might not work for yours. I bought things we didn't use (poise pads didn't work for us). An umbrella stroller worked perfect for us when going out and about. Stock up on moleskin and ducktape. We used a portable, foldable highchair for feeding. Take it one day at a time. Don't stress out too much. Go out with your child. Please don't stay inside just because you're afraid of people staring. Use the opportunity to teach.